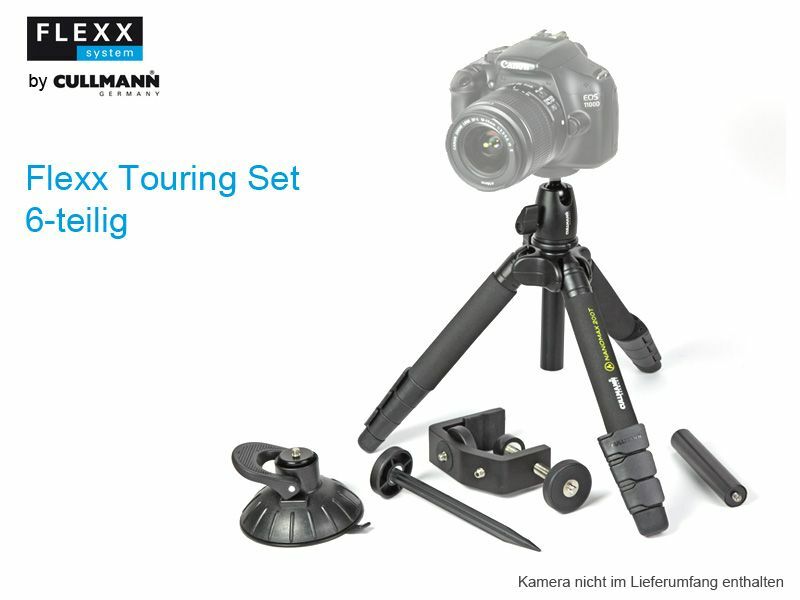 The greatest advantage of the FLEXX Touring Set is the high number of different applications. 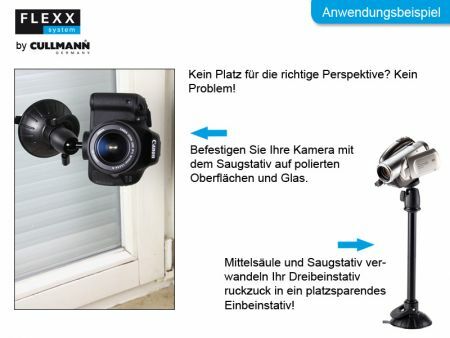 Secure fastening on smooth surfaces like glass or polished surfaces is guaranteed by the suction pod CS30. The rigid aluminium multi clamp CC60 with four different 1/4 inch connection threads offers perfect hold for perfect photos both outdoors and in the studio. 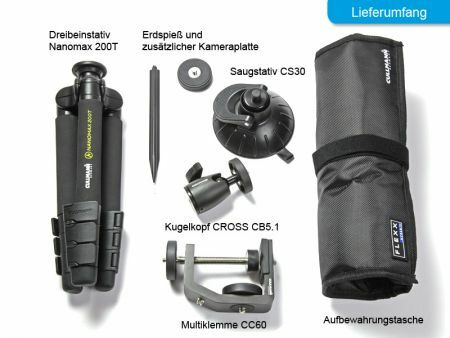 The anodised aluminium earth spike, combined with the camera plate and the ball head CROSS CB5.1, is the ideal tool for the nature photographer. 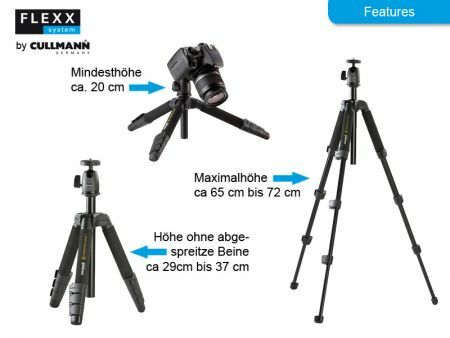 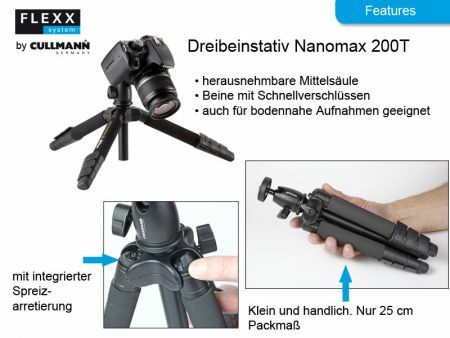 The compact tripod NANOMAX 200T is especially designed for photographers who like to travel with a backpack. 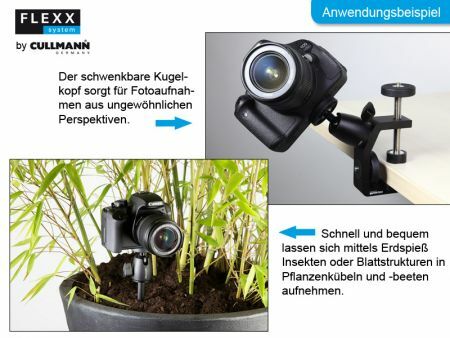 Its small packing dimension of only 28cm cm allows to stow this tripod easily and quickly in the backpack. The products can be safely stored in a high-quality transport bag which is specifically designed for the contents of the FLEXX Touring Set. The FLEXX Touring Set as well as all other FLEXX products come with a 10 year warranty after you have registered your product. 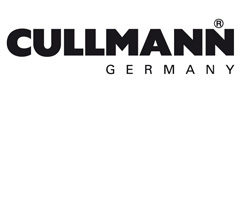 This Product was added to our catalogue on Friday 16 March, 2012.